As a founding member of The Beach Boys, Mike Love has spent an extraordinary 55 years, and counting, as the group's lead singer and one of its principal lyricists. The Beach Boys, from their California roots to their international fame, are a unique American story - one of overnight success and age-defying longevity; of musical genius and reckless self-destruction; of spirituality, betrayal, and forgiveness - and Love is the only band member to be part of it each and every step. In Catch a Wave, Peter Ames Carlin pulls back the curtain on Brian Wilson, one of popular music's most revered luminaries, as well as its biggest mystery. Drawing on hundreds of interviews and never-before heard studio recordings, Carlin follows the Beach Boys from their earliest days through Brian's deepening emotional problems to his triumphant re-emergence with the release of Smile, the legendarily unreleased album he had originally shelved. Mike Piazza was selected by the Los Angeles Dodgers in the 62nd round of the 1988 baseball draft as a "courtesy pick". The Dodgers never expected him to play for them - or anyone else. Mike had other ideas. Overcoming his detractors, he became the National League Rookie of the Year in 1993, broke the record for season batting average by a catcher, holds the record for career home runs at his position, and was selected as an All Star 12 times. Mike was groomed for baseball success by his ambitious, self-made father in Pennsylvania, a classic father-son American-dream story. Although Washington is often overlooked in most accounts of the period, this masterful new history from Pulitzer Prize winner Edward J. Larson brilliantly uncovers Washington's vital role in shaping the Convention - and shows how it was only with Washington’s support and his willingness to serve as President that the states were brought together and ratified the Constitution, thereby saving the country. As a cofounding member of the Beach Boys in the 1960s, Wilson created some of the most groundbreaking and timeless popular music ever recorded. With intricate harmonies, symphonic structures, and wide-eyed lyrics that explored life's most transcendent joys and deepest sorrows, songs like "In My Room", "God Only Knows", and "Good Vibrations" forever expanded the possibilities of pop songwriting. Derailed in the 1970s by mental illness, drug use, and the shifting fortunes of the band, Wilson came back again and again over the next few decades, surviving and - finally - thriving. Now, for the first time, he weighs in on the sources of his creative inspiration and on his struggles, the exhilarating highs and the debilitating lows. 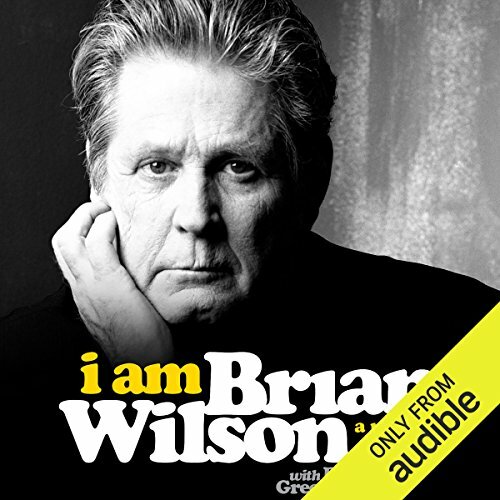 I Am Brian Wilson reveals as never before the man who fought his way back to stability and creative relevance, who became a mesmerizing live artist, who forced himself to reckon with his own complex legacy and completed Smile, the legendary unfinished Beach Boys record that had become synonymous with both his genius and its destabilization. Today Brian Wilson is older, calmer, and filled with perspective and forgiveness. Whether he's talking about his childhood, his bandmates, or his own inner demons, Wilson's story, told in his own voice and in his own way, unforgettably illuminates the man behind the music, working through the turbulence and discord to achieve, at last, a new harmony. ©2016 Da Capo Press (P)2016 Audible, Inc. When I was young the Beach Boy sound made a big impact on me. Brian Wilson had written some American classic songs like God Only Knows, The Warmth of the Sun and In My Room. Like all lives, there were tough times with a overbearing father, pressure to duplicate hits, and intergroup tensions. This was made a lot worse by mental illness and incessant negative voices that plagued Brian as he was reaching the peak of his career. He never eliminated those voices, but with the love of a woman and a support network of friends and ethical doctors (with the exception of a manipulative Dr. Landy) he is in a good place in the last decades of his life. I loved listening to this story and for someone who grew up in the sixties, there was an added technological bonus that would have made me drop to my knees back then. I recently subscribed to Google Play which makes almost any song available after a quick search. So Brian would mention a song and if it intrigued me, I would stop the book, search out the song and listen. I do not own the extensive catalog, but with this music service i found everything. So when Brian said he had the drummer put two snare shots in this spot - I immediately went to the song and verified the effect it had. When he talked about his Gershwin tribute album I could listen to his thinking about a certain song and then check out the actual piece of music. 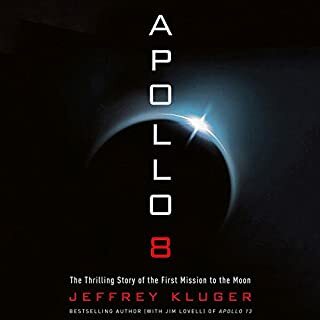 If someone had told me back in the sixties that I would be listening to a book on a small handheld device and be able to use that same device to instantly find any song mentioned in the book out of hundreds of songs and listen with stereo headphones and - oh yeah you could also phone anyone in the world - i would not have believed it. It is true. 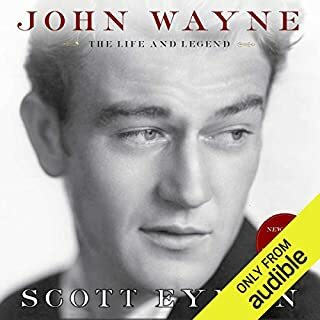 Listen to this book with a music service and you will have a great time. This book was awesome! I finished it in a little over a day. I was initially disappointed that Brian was not the narrator but I was pleasantly surprised - the narrator was wonderful and captured Brian's words perfectly. So glad to finally hear Brian's story in Brian's words. Loved hearing your memoir in your own words. The narrator sounded just like you were talking straight at us with confidence and sensitivity. I deal with mental illness in my home. Thank you for an uplifting perspective. All I could have ever wanted in a Brian Wilson autbio. His voice was instantly my new warm blanket in the truest sense of the word. Eyes... nose...face... I'm just wrecked from tears. Thank you Brian for taking the time to gift us your beautiful story. So many of us can gain so much affirmation and hope through the memories you have shared. God bless. Amazing story. Inspirational and heart felt. Great book about a musical genius who is amazingly human and the driving force behind The Beach Boys. He is our Paul McCartney! It's also a story about the struggles with mental illness. In my last year of college, I took a class in digital recording and with unfettered access to a music studio, my roommate and I decided it'd be fun to try to recreate, as close as possible, a recording of the pop masterpiece "God Only Knows." It consumed us. And we quickly found that Brian Wilson's genius is inimitable. Which is to say, I'm a fan of The Beach Boys, but more so the mysterious figure of Wilson; the sandbox piano, the decision to focus on writing and recording over touring, the enormity and intricacy of Pet Sounds. 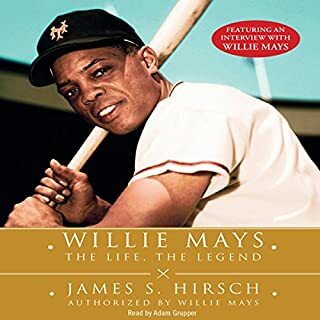 In this memoir, Wilson reveals himself like never before, writing of his struggles with mental illness, the voices he hears, the ups and downs of a one-of-a-kind career in music, the family battles, and the love, and music that has sustained him. An amazing book which delves into the history of The Beach Boys through the eyes and beautiful mind of their leader and creative driving force, Brian Wilson. 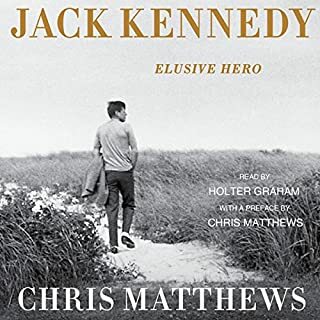 The book is well written and the narration of the audible version is excellent. Lots of great information, delivered in an entertaining way. 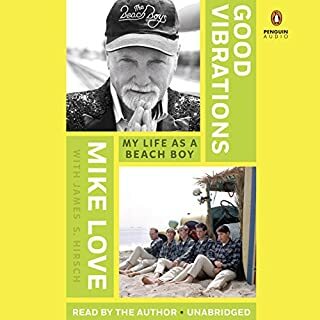 listening to this audiobook gave me a new found understanding of the beach boys. I don't think there was ever a rock n roll group that compares to them. 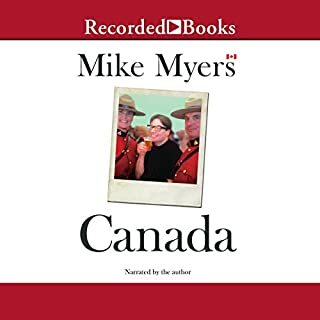 I also listened to Mike loves audiobook. had never studied that much about the beach boys. glad I did. I feel like I was sitting in Brian Wilson's Living room listening to his life story. I relived the numerous concerts as he recounted them. I am on a Brian Wilson music kick and counting down until I see him again in April 2017.